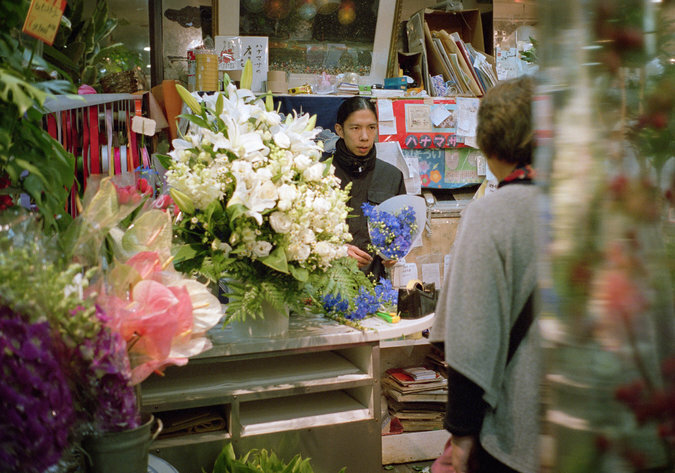 TOKYO — Hiroyuki Hara has increased prices at his flower shop in recent months, part of a broad reversal of the deflation that has long plagued Japan’s economy. Getting prices rising is a national goal, but Mr. Hara isn’t sure the new landscape is any more vibrant. “We used to get a lot of office workers in here, but now it’s mostly just older people, the ones with savings,” he says. Sales are down this year. He blames the shrinking buying power of his customers’ paychecks. Mr. Hara’s own costs are mounting too, as a precipitous decline in the value of Japan’s currency has made imported flowers pricier. And although he is charging more, the extra money is going to the government, which controversially raised sales taxes in April. A further tax increase is planned for next year. “It has me worried,” Mr. Hara says. Japan’s audacious campaign to reinvigorate its economy is entering a make-or-break phase. After nearly two years of aggressive stimulus under Prime Minister Shinzo Abe, joblessness has plunged, big companies like Toyota are earning record profits and corrosive price declines have been replaced by something Japan has rarely seen in decades — inflation. Rising prices are shrinking buying power, while the falling yen is making imports more costly and a tax increase is weighing on growth. Yet the benefits of Abenomics, as the program is known, have been unevenly distributed. Many consumers and businesses simply don’t feel better off. The problem threatens to undermine support for the effort at a critical juncture. Economic output fell sharply in the second quarter, immediately after April’s sales tax increase — evidence that consumer confidence remains fragile. Mr. Abe will soon have to decide whether to move forward with the next tax increase or table it. “There is a spreading sense of disappointment with Abenomics,” says Masazumi Wakatabe, an economics professor at Waseda University in Tokyo. The fact that prices are rising is not, by itself, a bad thing. Just the opposite: The government and most economists see it as preferable to the deflation that has dogged Japan since the late 1990s. When prices fall, it encourages households and businesses to squirrel away cash, holding back growth. Deflation also makes it difficult for central banks to rally an economy by cutting interest rates, which in Japan have been stuck at zero for years. Yet the public is showing clear signs of inflation fatigue. In a poll published on Monday by the Tokyo Broadcasting System, a national television network, nine in 10 respondents said they had no “real feeling” that the government initiatives were improving living standards. Instead of the balanced rise in prices and wages that Mr. Abe promised, pay has lagged, in effect making workers poorer. Adjusted for price changes, household incomes were down a full 6 percent in September compared with a year earlier. Rather than ease efforts to create inflation, the central bank has redoubled them. In an unexpected decision, the Bank of Japan said on Friday that it would expand its program of buying government bonds and other assets to the equivalent of more than $700 billion a year. The move, intended to stimulate borrowing and spending, spurred a rally in global stocks. “We are at a critical point for escaping deflation,” Haruhiko Kuroda, the central bank governor, said, adding that “half measures” would only bring back Japan’s “deflationary mind-set.” Hinting at what could be more stimulus to come, he added that the Bank of Japan would do whatever it took to meet its official target of 2 percent “core” price increases, a measure that excludes the effect of taxes and other items. But the aggressive stimulus, which has pushed down the value of the yen, is only complicating matters. At the outset, the currency’s retreat was universally embraced as a relief for Japan’s many exporters. Now it is feeding concerns that imports are too expensive. The value of the yen is down more than 30 percent against the dollar since 2012. Exports were supposed to flourish in response, but the trade balance has instead been stuck in deficit. It is not just the flowers in Mr. Hara’s shop that are costlier, but also big-ticket items like oil and natural gas, consumption of which has soared since the Fukushima nuclear disaster in 2011. Nuclear power plants remain closed nationwide, and electricity bills have leapt by double digits as a consequence. “If the yen weakens any further, it would be bad for Japan’s economy as a whole,” Genichi Tamatsuka, the president of Lawson, one of Japan’s biggest convenience store chains, told reporters this week. In parliament on Tuesday, Mr. Abe was forced to defend the central bank actions that have depressed the currency. “When the yen falls, there are issues that go with that fall, and we have to deal with them,” he said, though he gave no sign that he would pressure Mr. Kuroda to reverse course. The sales tax increase has drawn the most intense opposition. The two-stage rise was authorized by a previous government, as a means of tackling Japan’s vast public debt. The second part, which is scheduled for October, will take the rate to 10 percent — double what it was before the first increase. Some lawmakers and economists close to the government have urged the prime minister to postpone, by perhaps 18 months, thus, giving time, they hope, for wages to catch up to prices and create a less painful kind of inflation. “We need to prioritize economic growth,” Kozo Yamamoto, a lawmaker in Mr. Abe’s Liberal Democratic Party who helped plan the stimulus policies, said in an interview. Even Mr. Kuroda, the Bank of Japan governor, is pushing for the tax rise to go ahead. He is doing so despite complaints that it will widen the gap between wages and prices and discourage the precise thing he is trying to foster, consumer spending. A finance ministry official before he became a central banker, he views the tax as essential to addressing the debt, which relative to the size of the economy is the largest in the world. By printing money freely, he is creating what he hopes will be a cushion against its economic impact. A version of this article appears in print on November 6, 2014, on page B1 of the New York edition with the headline: In Japan, Moves to Stimulate Economy Reach a Critical Stage. Posted on November 11, 2014, in Postings. Bookmark the permalink. Leave a comment.